Flight time 11 hrs from the UK. 14 hrs 30 from NYC. Give your taste buds a whirr with mouth-watering cuisine and delectable wines on this eight-night trip to the Cape. When you’re done with city slicking in Cape Town, get back to nature in a traditional farmhouse in Franschhoek before making for the nature trails of the Constantia Valley. 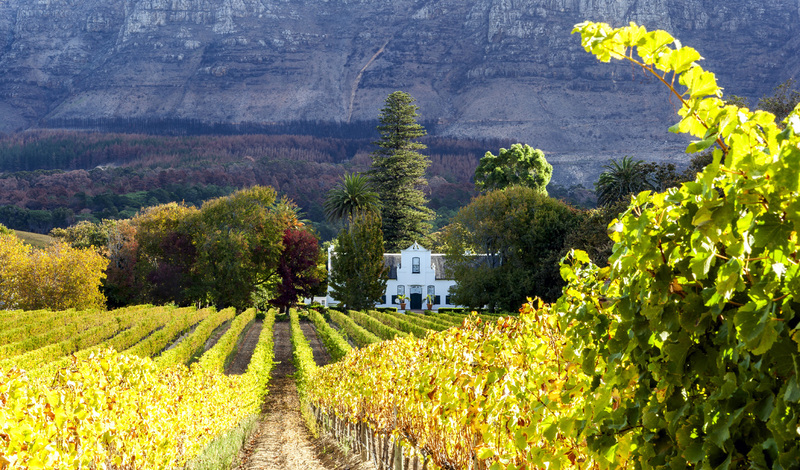 With numerous attractive terrains – pristine beaches, rolling vineyards to its very own rugged mountain – Cape Town is worthy of being on a postcard. Allow us to introduce you to this diverse city and its surroundings during our luxury vacation away with a focus on that mouth-watering fare South Africa is famed for… Stomach rumbling? For your first three nights, you’ll rest your head in Cape Grace Hotel, perched on the much sought-after V&A water-front. This bustling harbor boasts many restaurants, markets and watering holes where you’ll be able to acquaint yourself with the locals. Nestled between the glistening ocean and the charming Table Mountain – as you can imagine, views from the hotel are pretty spectacular. Cape Town has a noticeable creative streak, so spend your days admiring the fashionable street style, frequenting the multiple galleries, or involving yourself in the lively music scene. We’re sure you’ll agree with us that in order to fully immerse yourself in a city’s culture, it’s your duty to sample the local tipple, right? Well, you’re in luck as during your three-night stay you’ll be treated to an in-depth tutored whisky tasting offering the opportunity to learn about the art of distilling and sample the various styles of whisky. 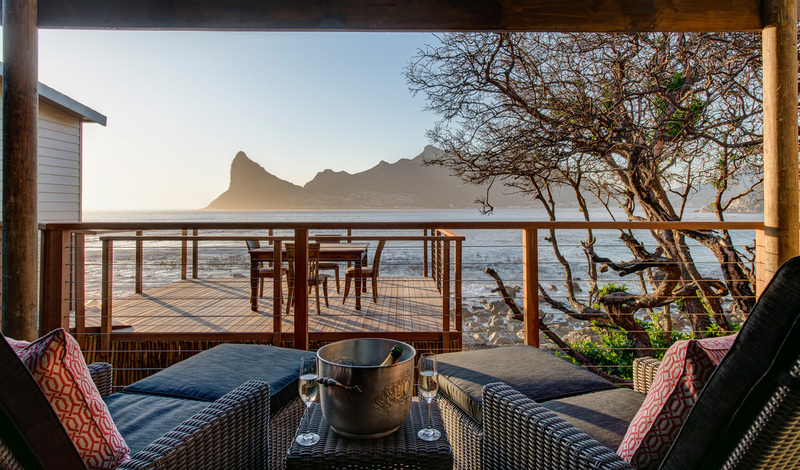 This wouldn’t be a gourmet trip without sampling the Cape’s surrounding waters, and where better to taste the catch of the day than the hotel’s signature foodie haunt – Signal Restaurant. Leave Cape Grace with a bang in the reliable hands of Executive Chef, Malika van Reenen. He’ll whip up a gourmet dish for you as well as your fellow international travelers, who descend to the restaurant to grab a sample of his to-die-for food. Ingredients are sourced locally, whether they come from the waters directly outside, or the local farmers. Next, you’ll be whisked away from the Cape and up to the wine lands in the Drakenstein Valley of Franschhoek to hole up for two nights in an authentic Cape Dutch farmhouse estate from the 17th century. Babylonstoren, although it’s still first and foremost a working farm, has transformed itself into a contemporary home-away-from-home, where nature, health and simplicity are at the hotel’s core. Make this expansive farm your playground, and spend your days strolling through the hotel’s expansive gardens, canoeing down the farm dam and cycling through the vineyards. For all those aspiring wine connoisseurs out there, take the farmhouses’ very own extensive wine tour, where you can really get to know the ins and outs of South African wine production. Once you’ve has this taster of how it’s all made and grown, we say it’s time to try. Enjoy an afternoon at the farmhouse tea rooms, where you can sip your brew amongst oak trees, and at night munch on the freshest seasonal produce, all procured from the farmhouse estate. For your last leg of your gourmet tour, head off to Tintswalo Atlantic for three nights. This stylishly understated hotel lies just half an hour from Cape Town yet boasts some seriously out-of-this-world views across the Atlantic Ocean. Nestled on the slopes of the Cape Mountain Fynbos Reserve, the Constantia Valley is ripe for exploration with its multitude of trails which wind through lush greenery and alongside rivers and plenty of vineyards and wineries to become acquainted with. If you’re up for an excursion, Constantia Uitsig Restaurant is well worth the journey. With the expert chef Clayton Bell at the helm, this restaurant serves up some of the best Mediterranean Provencal fare in a stylish and relaxed atmosphere. After your eight nights, we expect you to return to Cape Town’s international airport nothing less than world-class food and wine connoisseurs.